Emmy® Award winning multimedia producer Dai Sugano and Pulitzer Prize winning photographer Deanne Fitzmaurice have collaborated on a short video featuring Think Tank Photo's new Multimedia DSLR bag system. Set in San Francisco's Chinatown, the video features Fitzmaurice utilizing Think Tank's Multimedia Wired Up Collection system to capture still, audio, and movement in a rich urban setting. Emmy® Award winning multimedia producer Dai Sugano and Pulitzer Prize winning photographer Deanne Fitzmaurice have collaborated on a short video featuring Think Tank Photo's new Multimedia DSLR bag system. Set in San Francisco's Chinatown, the video features Fitzmaurice utilizing Think Tank's Multimedia Wired Up Collection system to capture still, audio, and movement in a rich urban setting. Sugano and Fitzmaurice are on the cutting edge of photojournalists utilizing Multimedia DSLRs such as the Canon 5D Mark II and the Nikon D90 to produce visual journalistic stories of immense depth. The video is available at http://www.thinktankphoto.com/mmvideo . To aid video journalists in carrying their imaging and audio gear comfortably and accessing it quickly, Think Tank Photo will be releasing an entirely new concept and an industry first in carrying equipment, The Multimedia Wired Up Collection. This new concept in integrated carrying solutions will be available through its retailers around the world and directly from Think Tank in July. "We are honored to have a video producer of Dai's talent and reputation working with us on this project," said Larry Atil, Think Tank Photo's Creative Director. "He was able to combine his unique perspectives as a producer and as a working visual journalist with Deanne's background as a photojournalist who has successfully completed the transition to this exciting new way of storytelling. Of course, it has always been a huge benefit to Think Tank that Deanne is one of our co-founders and is someone who is at the cutting edge of her profession." Dai Sugano is an award winning photojournalist and senior multimedia editor at the San Jose Mercury News. He co-created MercuryNewsPhoto.com whose interactive story telling has been judged among the world's best two years in a row in the Pictures of the Year International contest. In 2008, "Uprooted," which looks at displacement of a group of mobile home residents in Sunnyvale, won an Emmy Award in New Approaches to News and Documentary Programming: Documentaries. His other work have been nominated for the national Emmy Award and a Pulitzer Prize in photography; and has received awards from EPpy, Best of the West, NPPA and other international and national photojournalism organizations. His work can be seen at http://www.daisugano.com . Deanne Fitzmaurice, a co-founder of Think Tank Photo, is a Pulitzer Prize winning freelance photographer based in San Francisco. Her work has been published in Time, Newsweek, U.S. News & World Report, and Sports Illustrated. 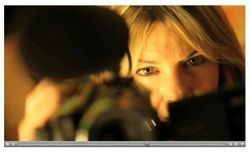 While a staff photographer at the San Francisco Chronicle, she won the prestigious Casey Medal and the Associated Press's Mark Twain Award, in addition to awards from the Society of Professional Journalists, National Press Photographers Association, Best of Photojournalism, and Pictures of the Year International. Her work can be seen at http://www.deannefitzmaurice.com . Headquartered in Santa Rosa, California, USA Think Tank Photo is a group of designers and professional photographers focused on studying how visual journalists work and developing inventive new carrying solutions that meet their needs.